Just last week Vice President, Mike Pence returned from a trip to Argentina, Chile, Colombia, and Panama. Unlike the majority of the trips by senior American officials to the region the purpose of the visit was not purely to talk about trade, economic, or other issues as if the situation were normal. Instead, Pence’s trip sought to target a serious regional security issue—the Venezuelan crisis. The Vice President has taken advantage of the momentum created among countries in Latin America, of which most now recognize the Venezuelan government as a dictatorship and, at long last, are willing to do something about it. The presidents of the three main countries visited by Mr. Pence- Colombia, Argentina, and Chile- have rejected a U.S. military operation against the regime of Nicolas Maduro, as was suggested by President Trump two weeks ago. The Vice President seems to have accepted the Latin American leaders’ convictions that no U.S. troops should be posted on Venezuelan soil. This is a wise decision; many American soldiers would likely lose their lives against Venezuela’s 280,000 troops. This is not 1983 Grenada, nor is it 1989 Panama. However, Pence seems to have received enough assurances from these Latin American presidents that there is enough consensus and unity in the region to use economic and diplomatic means to twist the arm of the Venezuelan regime. Even the cautious and often-reserved Chilean president, Michelle Bachelet expressed support for economic sanctions. Less than 48 hours after the Vice President’s speech, the United States imposed new sanctions on Venezuela. This time, restrictions were placed on the trade of new Venezuelan government bonds, which will make it harder for Venezuela to pay off its debt. This alone will probably not be enough to sufficiently weaken the regime. In addition, the U.S. has not suspended purchase of Venezuelan oil; CITGO, the American branch of PDVSA which owns some refineries and pipelines in the U.S., has been exempted from any new sanctions. Yet, this does not mean that this could not be the next step. In fact, it should be the next step if there is no substantial change in Venezuela. Despite the insufficiency of the sanctions, Pence’s strategy on Venezuela should be seen as a major turning point in U.S. policy. 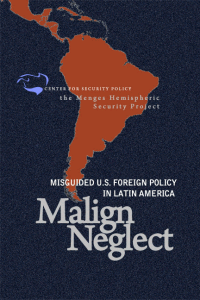 The Bush Administration delegated such policy to the State Department bureaucracy, as later the Obama Administration did to countries of the region, which were then ruled mostly by left-wing governments sympathetic to the Venezuelan regime. This time, U.S. policy towards Venezuela is also based on cooperation with Latin American countries while simultaneously trying to regain leadership in the region. 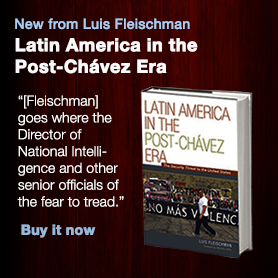 The U.S. again, regards itself as a major power that can make a difference in Latin America. Furthermore, this time the U.S. is taking the initiative and not merely “leading from behind,” the Obama doctrine which has now become a euphemism for abdication. The status-quo in Venezuela is unacceptable. For the first time, we are hearing from the highest levels of the American government what we have been saying here at the Center for Security Policy for a long time. The deterioration of democracy is not merely a moral problem of human rights or freedom, but also a security problem, as the spread of dictatorial impunity enables transnational crime and terrorism. Venezuela has been dangerous to our security for almost two decades, ever since the Chavez regime began its journey in 1999 to become a rogue state. 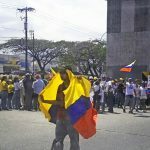 The Venezuelan model created a revolutionary copycat in Ecuador, Bolivia and Nicaragua, aggravating the security situation even further. Pence’s speech should be taken as a contract. We the people, including Venezuelan exiles and others in the country, should hold the Administration accountable to make good on its promises. American refineries continue to lobby against an oil embargo on Venezuela, arguing that it would raise fuel prices and cut into their profits. But the security and determination of the U.S. in the world arena is worth much more than a gallon of gas. Crippling economic sanctions and diplomatic efforts should not stop until the Maduro regime collapses.